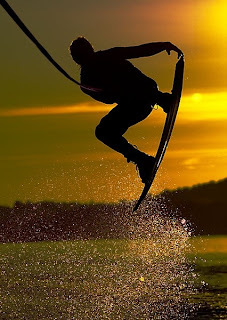 Looking for your first wakeboard? Tired of your old wakeboard and need a new one? We're here to help. We put together our list of the top wakeboard brands on the market today. Making our list, in no particular order: (1) Hyperlite, (2) Ronix, (3) CWB, (4) Liquid Force and (5) Obrien. Hyperlite produces tons of wakeboard gear (check out this Hyperlite wakeboard rack) and is at the top of the wakeboarding industry. With sleek, lightweight boards, Hyperlite provides a rider with a variety of boards with different shapes and strengths to really give a rider pop on the wake. Ronix is a diversified manufacturer with customized boards made specially for girls and guys. Many of the ladies' boards are made for smoother ride and less impact. Their “Faith Hope Love” board, for example, is a quality board that allows for a lot of speed across the wake. Guys' boards offer their own unique advantages. Trying to go green? CWB is the brand you want to focus on then with a board that incorporates bamboo to “add strength and reduce weight.” Not only eco-friendly, CWB has great boards for beginners with their soft landing technology implemented into each board. Liquid Force prides itself on designing boards to make each rider’s experience special, whether you’re a young grom or an experienced powerhouse. Their boards are lightweight and new hybrid models are always being released with new advancements to better your ride. Similar to the other brands on this list, Obrien is a quality brand that offers boards for beginners to experienced pros. Each board is created differently to enhance a rider’s strength and to also help his or her weaknesses. With technology such as double barrel channels to expanded DELTA bases, these boards produce enough pop to help you land your next trick on the wake. These brands produce top quality wakeboards but they aren't the only great wakeboard manufacturers out there. Check out boards produced by Slingshot and Humanoid to further your knowledge of equally good brands. Everyone's got their own opinion about what brand is best, but I hope this list helps point you in the direction of a wakeboard that feels like an extension of you. Once you choose your favorite wakeboard brand and get a new board make sure you have a wakeboard rack to store it in!